Houdini and Sir Arthur Conan Doyle were friends in real life until they had a falling out over the issue of spiritualism. That story is well known and can be read about HERE. But Houdini has also had a long association with Doyle's most famous fictional creation Sherlock Holmes. Houdini was a Holmes fan. It's said had in his library 1,343 items of correspondence, heirlooms, souvenirs and merchandise pertaining to the great detective. In 1908, Houdini wrote a letter to Holmes as if he were a real person, seeking his assistance in defeating his many imitators (you can read it here). Over the years there have also been many fictional pairings of Houdini and Holmes in novels, plays and comics. 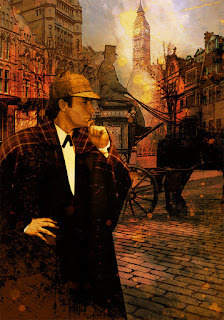 While there has yet to be a Houdini-Holmes movie, it seems just a matter of time. 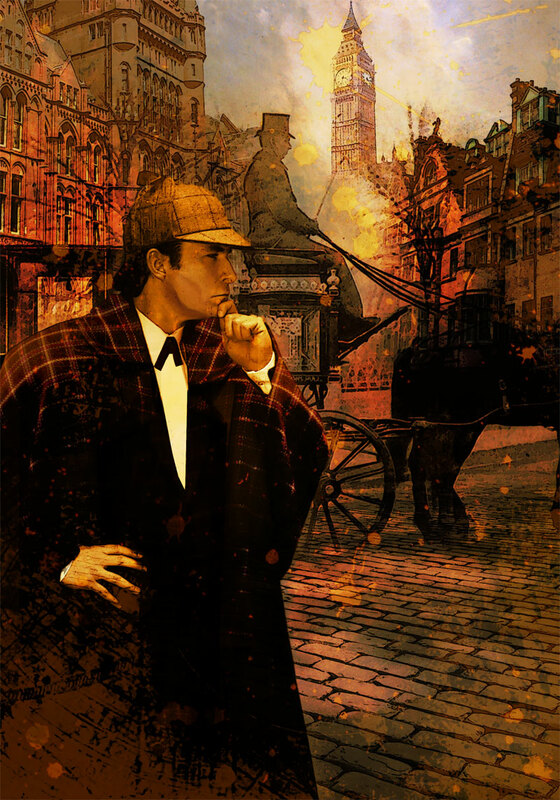 Visit my blog devoted to Sherlock Holmes pastiche: The Battered Tin.